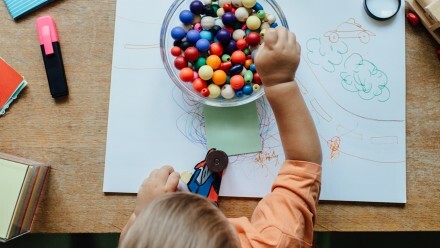 Should you be worried about your clumsy toddler"
Rose Neale*, a mom of two from Toronto, noticed her four-year-old daughter, Elodie*, was kind of clumsy. ?When she first started walking, she?d fall down frequently while running or playing,? says Neale. Elodie often bumped into other kids or furniture and had little bruises on her legs. At the time, Neale didn?t think much of her daughter?s behaviour. ?I?m clumsy, too,? she says. ?I thought, Poor thing, she?s just uncoordinated, like I am.? For the most part, clumsiness in toddlers is normal as they are still learning about how to move their bodies. However, there are signs that could suggest something bigger is going on. Janice Heard, a community paediatrician and clinical assistant professor at the University of Calgary, explains that when toddlers start walking, they have a wide gait to help keep their balance. ?A toddler walks with their feet a few inches apart?rather like they have a full diaper,? she says.